So it’s been 7 years. I have accumulated near 27,000 images, 600+ videos, taking up about 137Gb of the disk space on my Macbook Pro. That’s more than half of my total available space. Add them up with the other stuff for work etc, I’m constantly at 98% disk utilisation, which leaves me little space for other stuff. Today, I decided that I should do a proper clean up, move the photos out of my Macbook Pro into my old Macbook. That Macbook has been a file server since 2012, and I rsync my iPhoto Library to it as a backup and further backed-up with BackBlaze. So all in all, I have 3 copies of my photos. With this reorganisation, the data on the old Macbook is going to be ‘live’ and still backed-up on Backblaze. So, to facilitate this move, I purchased the iPhoto Library Manager. 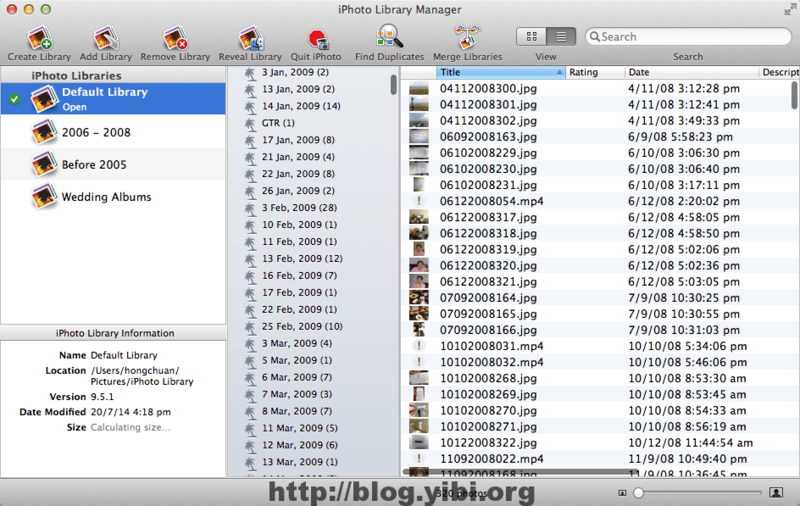 This tool will help me break up the iPhoto Library into smaller libraries. 4. 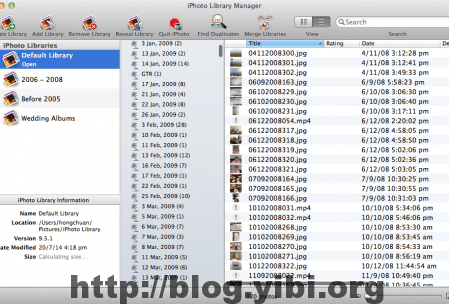 Use iPhoto Library Manager and break up the original library bit by bit. 5. Delete the libraries that have been copied out to the file server. 7. Repeat 4 to 6 until you are satisfied with your libraries. You need to have some patience doing this. Why? 1. iPhoto seems to be very busy when emptying first 2,000 images from Trash. I guess it’s due to the updating of the metadata in iPhoto. I’m doing it in batches 500 after that. 2. Backblaze doesn’t pickup changes immediately. It can take up to 3 hours for changes to be picked up. So don’t get impatient with them. Check back half a day later. And this is also why the Time Machine step is extremely important. To delete the photos in batches, switch to the ‘Photos’ view in iPhoto and close the events. Then Command + Left mouse click on the titles. You can see the number of photos selected at the top right hand corner. Prev Do These Look Like New Book From Amazon?